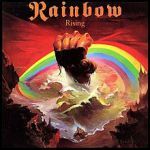 It’s 1976 and Richie Blackmore has, ever-so-slightly, loosened his grip on his band and dropping the “Ritchie Blackmore’s…” prefix, it is now simple called Rainbow. Arguably he released his grip entirely on the bassist, drummer and keyboard player, having fired all except Ronnie James Dio, and recruiting Cozy Powell, Tony Carey and Jimmy Bain to fill their places. Further evidence of Blackmore’s willingness to share the spotlight with the rest of the band is found as the album opens with over a minute of keyboard solo introducing Tarot Woman. People talking of the great keyboard intros of rock of cite Genesis’s Watcher Of The Sky or even Ozzy Osbourne’s Mr. Crowley, but surely Tony Carey’s work here wins hands down? 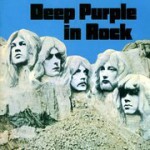 Then, at 1m30, in come the band with a one of Blackmore’s finest driving riffs and Cozy Powell and Jimmy Bain thundering along behind, and Dio… well, I don’t think it’s too hyperbolic to say that the moment he opens his mouth you can tell he’s going to change the world of rock vocals. Run With The Wolf is a more swaggering riff, and here the guitar work is more apparent, but with the same monstrous rhythm section work (Cozy in particular is in fine fettle on this) and more of that wonderful, mix of grit and wail that characterises Dio’s voice. Starstruck and Do You Close Your Eyes follow and though for me they’re the weakest tracks on the album, I only say that because they’re up against impossible competition. 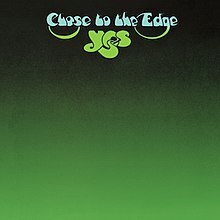 They’re great, straight out rock tracks (with Do You Close Your Eyes in particular having some very tasty hammond work in there) and if the whole album were full of songs like that it would still be a good solid album. But it isn’t, because side B is approaching, and side B contains just two songs. Starstruck. Opening with one of Cozy’s trademark four-limbed drum workouts and ending with a repeated orchestral pattern which at 2 minutes ought to be too long but for Dio’s inspired extended vocal ad-libbing, this has to be one of the finest moments of rock history. Play it loud, in the dark with your eyes closed. I will have to go on record as saying that though I know it alienates many people, I really have no problem at all with the wizards and demons imagery that, starting here, came to characterise a lot of Dio’s lyrical output. Something as majestic as this needs something otherworldly to match the music. Singing bawdy, macho lyrics about women and cars, or complaining about The Man and how dull work is just wouldn’t do here. As the song finally fades you wonder how you could possibly follow something like that, and a quick and obliging drum fill from Cozy brings in A Light In The Black, and its pounding but straightforward riff seems like the perfect, stripped-back answer. But the band trick you and in fact though it seems pretty straight, before you know it they’ve launched into two monumental solos, starting with Tony Carey on crunchy, distorted synth and then Blackmore doing his thing at the peak of his abilities. You can hear that this track was written to be played live and to take over as a vehicle for the sort of pyrotechnics that used to accompany Space Trucking on Deep Purple tours. But this isn’t just technical show boating, with virtuosity on both sides being interspersed with crafted melodic lines and doubling each other’s lines.Fading out at the end of this album would feel like a cop-out and thankfully once the vocals return they make their way towards a colossal and almost stage-like ending. Though the album’s short at just over half an hour, I usually find myself sitting in silence for a few minutes after it has finished, and I’m happy to tack them on to its notional length. Sadly, though this line-up would go out on tour, Ritchie’s infamous antics and apparently impossible to work with personality meant that Jimmy Bain was out before the next album was started. Tony Carey, whose contributions on Rising are something special, didn’t last for the full recording of Long Live Rock ‘n’ Roll, and before Down To Earth was started he lost Dio. 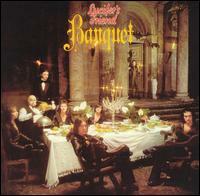 One more album after that and Cozy Powell had walked too. But here on Rising the band are (to use a cliché) firing on all cylinders and like with so many of the albums that I find make my favourites list, it’s this magic band chemistry that lifts it from being simply a good album to one where there seem to be no lulls while you’re waiting for the next “good bit” to come along. It was Where Were You? from Guitar Shop that I heard first and suddenly I could understand what people were going on about. The rest of the album though left me somewhat cold and a friend suggested I pick up Blow By Blow and Wired instead. As an instrumental album full of segues and changes within pieces I’m actually not entirely familiar with most of the pieces by name, but right from the get go on You Know What I Mean it’s clear that what we’re listening to is not Jeff Beck per se, but the Jeff Beck Band. And it’s a really tight, funky band, crammed with talent. Max Middleton on keyboards stands out for me, though I learned later than Stevie Wonder helped out here and there too. Having said I don’t know the track names, the exception is Scatterbrain which a six minute slice of perfection with some superb drumming, great lead work from Beck and Middleton, and orchestral backing which just about stays on the right side of being interesting without taking over, and a driving, tension-building main theme which kicks in whenever things are starting to get a little too safe. 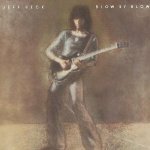 Scatterbrain is followed by Cause We’ve Ended As Lovers, which is one of those tracks that showcases what people mean when they talk about notes on Jeff Beck’s guitars that don’t exist for anyone else. His phrasing, dynamics and control of notes on a piece like this is simply astounding. After a few more changes of mood the album finishes with Diamond Dust, which again brings in an orchestral backing. 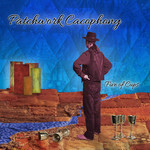 This time its use is more prominent and the string section features more on a par with the rest of the musicians, being given its own share of the limelight before dreamily closing out the album. In a way I find it hard to explain what it is I like about this album when placed along side other things on my list, but clearly from my playing habits it’s right up there for me. It’s an album I put on over and over, particularly when I’m in the mood for something that will occupy my brain without distracting me too much. 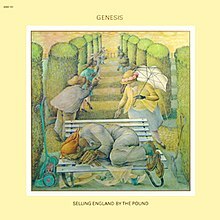 For all the occasional blitzes of excitement, I find it a very soothing album to have on without it simply being background music. A rarity.